Since 1993 our company has been helping contractors get their Virginia state contractors license. With a 99% success rate, our exam prep classes are the best in the industry. Virginia requires construction work in excess of $1,000.00 be regulated at the State level. HVAC, Plumbing, Electrical and Gas Fitting is regulated, for any amount, at the State level. Effective August 21, 2006, the Designated Employee or a member of Responsible Management of all contractors applying for initial licensure (for an entity that is not currently licensed) must successfully complete an 8-hour business class approved by the Board for Contractors. This applies to Class-A, Class-B, and Class-C Contractors. Effective January 1, 2008, all Electrical, Plumbing, Gas Fitters and HVAC licenses require Continuing Education hours. Effective March 1, 2016, all Contractor Specialty examinations will require pre-approval from DPOR prior to taking the examination. For more information please contact the Board for Contractors Licensing Section directly at (804) 367-8511. A Class C Contractor is any contractor that has single contracts from $1,000 or more but less than $10,000 or contracts totaling less than $150,000 over a one-year period. Virginia does not require Continuing Education for the Class C Contractor classification. Effective August 21, 2006, the Designated Employee or a member of Responsible Management of all contractors applying for initial licensure (for an entity that is not currently licensed) must successfully complete an eight hour business class approved by the Board for Contractors. This license sets the monetary limit for which you will be allowed to bid and complete projects. It covers all specialty categories in which the job would be over $120,000.00 for class A, or for jobs $10,000.00 up to $120,000.00 for class B. This license covers many specialty categories excluding Building Construction. The A or B license sets the monetary limit for which you will be allowed to bid. It covers all specialty categories in which your job would be over $120,000.00 for class A, and $10,000.00 up to $120,000.00 for class B.The Building Technical exam is required for any new construction. Individual whose contracts include construction on real property owned, controlled or leased by another person of commercial, industrial, institutional, governmental, residential (single-family, two-family, or multi-family) and accessory use buildings or structures.This license also allows remodeling, repair, improvement or demolition of these buildings & structures. Commercial Building Contractors (Abbr: CBC) means those individuals whose contracts include construction, remodeling, repair, improvement, removal, or demolition on real property owned, controlled, or leased by another person of commercial, industrial, institutional, governmental, and accessory use buildings or structures. The CBC classification does not provide for electrical, plumbing, HVAC, or gas fitting services and does not allow construction, repair, or improvement, of dwellings and townhouses as defined in the USBC. If the CBC contractor performs specialty services, other than those listed in this definition, all required specialty designations shall be obtained. The CBC contractor may act as a prime contractor and contract with subcontractors to perform work not permitted by the CBC license. The commercial building classification includes but is not limited to the functions carried out by the following specialties for contracts of commercial, institutional, governmental, and accessory use buildings or structures, including multi-family housing: Billboard/sign contracting, Marine facility contracting, Commercial improvement contracting, Masonry contracting, Concrete contracting, Painting and wall-covering contracting, Farm improvement contracting, Recreational facility contracting, Industrialized building contracting, Roofing contracting, Landscape service contracting, Swimming pool contracting. Electrical license allows contracts including the construction, repair, maintenance, alteration, or the removal of electrical systems under the national electric code. This license allows contracts including the installation, repair, maintenance, and/or alteration of heating systems, boilers, process piping, and mechanical refrigeration systems, including tanks incidental to the system. This license allows contracts including the installation, maintenance, extension, alteration or removal of all piping, fixtures, appliances, appurtenances in connection with; boilers, backflow prevention devices, hot water heaters, hydronic systems, process piping, steam heating systems, venting systems related to plumbing, and others. Master/Journeyman Gas Fitter is a tradesman who does gas fitting related work. This work includes the installation, repair, improvement or removal of LP or Natural Gas piping, tanks, and appliances annexed to real property. Master/Journeyman LP Gas Fitter is a tradesman whose work includes the installation, repair, improvement, alterations or removal of piping, LP gas tanks, and appliances. This does not include hot water heaters, boilers, and central heating systems that require a HVAC or Plumbing certificate. Master/Journeyman Natural Gas Fitter is a tradesman who repairs, tests, or removes Natural Gas piping or fittings annexed to real property, excluding new installation of gas piping for hot water heaters, boilers, central heating systems, or other Natural Gas equipment that requires HVAC or Plumbing certification. Asphalt Paving and Sealcoating Contracting means that service which provides for the installation of asphalt paving and/or sealcoating on subdivision streets and adjacent intersections, driveways, parking lots, tennis courts, running tracks, and play areas, using materials and accessories common to the industry. This includes height adjustments of existing sewer manholes, storm drains, water valves, sewer cleanouts and drain grates, and all necessary excavation and grading. The H/H classification also provides for this function. Commercial Improvement Contracting (CIC) means that service which provides for the repair or improvement to nonresidential property and multifamily property as defined in the Virginia Uniform Statewide Building Code. Concrete Contracting (CEM) means that service which provides for all work in connection with the processing, proportioning, batching, mixing, Conveying and placing of concrete composed of materials common to the concrete industry. Electronic/Communication Service Contracting (ESC) means that service which provides for the installation, repair, improvement, or removal of electronic or communications systems annexed to real property including telephone wiring, computer cabling, sound systems, data links, data and network installation, television and cable TV wiring, antenna wiring, and fiber optics installation, all of which operate at 50 volts or less. Farm Improvement Contracting means that service which provides for the installation, repair or improvement of a non-residential farm building or structure, or non-residential farm accessory-use structure, or additions thereto. The BLD classification also provides for this function. The FIC specialty does not provide for any Electrical, Plumbing, HVAC or gas fitting functions. Fire Alarm Systems Contracting means that service which provides for the installation, repair, or improvement of fire alarm systems which operate at 50 volts or less. The ELE classification also provides for this function. A firm with an FAS license is responsible for meeting all the applicable tradesman licensure standards. Highway/Heavy Contractors (H/H) means those individuals whose contracts include construction, repair, improvement, or demolition of the following: bridges, dams, drainage systems, foundations, parking lots, public transit systems, railroads, roads, runways, street, structural signs and lights, and tanks. Home Improvement Contracting means that service which provides for repairs or improvements to one-family and two-family residential buildings or structures annexed to real property. The RBC classification also provides this function. The HIC specialty does not provide for electrical, plumbing, HVAC, or gas fitting functions. It does not include high rise buildings, buildings with more than two dwelling units, or new construction functions beyond the existing building structure other than decks, patios, driveways and utility out buildings. Landscape Irrigation Contracting means that service which provides for the installation, repair, improvement, or removal or irrigation sprinkler systems or outdoor sprinkler systems. The PLB and H/H classifications also provide for this function. This specialty may installl backflow prevention devices incendental to work in this specialty when the installer has received formal vocational training approved by the Board that included instruction in the installation of backflow prevention devices. Landscape Service Contracting (LSC) means that service which provides for the alteration or improvement of a land area not related to any other classification or service activity by means of excavation, clearing, grading, construction of retaining walls for landscaping purposes, or placement of landscaping timbers. Masonry Contracting (BRK) means that service which includes the installation of brick, concrete block, stone, marble, slate or other units and products common to the masonry industry, including mortarless type masonry products. This includes installation of grout, caulking, tuck pointing, sand blasting, mortar washing, parging and cleaning and welding of reinforcement steel related to masonry construction. The CBC and RBC classifications and the HIC and CIC specialties also provide for this function. Painting and Wall Covering Contracting (Abbr: PTC) means that service that provides for the application of materials common to the painting and decorating industry for protective or decorative purposes, the installation of surface coverings such as vinyls, wall papers, and cloth fabrics. This includes surface preparation, caulking, sanding and cleaning preparatory to painting or coverings and includes both interior and exterior surfaces. The CBC and RBC classifications and the HIC and CIC specialties also provide for this function. 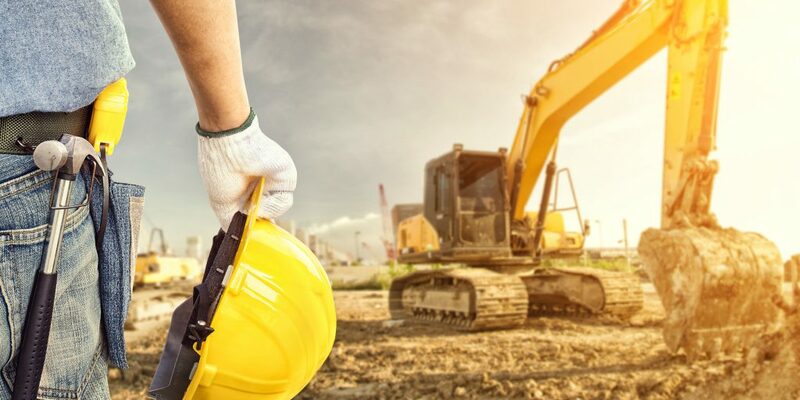 Recreational Facility Contracting means that which service provides for the construction, repair, or improvement of any recreational facility, Excluding Paving and the construction of Buildings, Plumbing, Electrical, and HVAC functions. The BLD classification also provides for this function. Swimming Pool Construction Contracting means that service which provides for the service, repair, construction, improvement or removal of in-ground swimming pools. The RBC and CBC classifications and the RFC specialty also provide for this function. No trade related Plumbing, Electrical, Backflow or HVAC work is included in the specialty. This course is required for all contractors applying for initial licensure (for an entity that is not currently licensed). If you are considering becoming a licensed contractor in Virginia, American Contractors Exam Services offers all of the materials and resources necessary to successfully complete the exam. In Virginia, all contractors are required to complete an 8 hour business class approved by the Board for Contractors. We offer this seminar online, as well as all of the books, CDs, practice tests, webinars and other materials essential for obtaining your contractor’s license. Our educational resources are designed to be convenient for you. Whether you want to attend a live seminar in person or view a webinar, we make it easy for you to study and prepare for your licensed contractors exam. Those who plan to become an HVAC contractor or work in the plumbing, mechanical or electrical fields or want to become a residential or general contractor know that there is much to be learned. We offer all that you need to pass your exam the first time. To help ease your anxiety and stress level on the day of the actual exam, we provide CDs with sample tests so that you can practice before taking the real thing. We are dedicated to helping our clients achieve their career goals, and provide all that you need to study, train and practice in preparation for the licensed contractor exam. Once you have obtained your license we also offer continuing education so that you can remain current and up-to-date in the industry. Those living in Virginia and wanting to become a licensed contractor will find that the exam preparation seminars we offer make it easier, and cover those topics often asked on exams in regards to electrical, mechanical, plumbing and HVAC issues as well as general commercial and residential services. We go the distance to ensure that you are thoroughly prepared to take the exam, and pass it on the first attempt. We know that you want to acquire your license as quickly as possible, and we help you do just that. Construction-related books, stock code and estimating guides, sample tests for electrical code and theory, online courses in HVAC, construction Spanish – these are just a few of the many resources we offer to help ensure you are well-prepared for your licensed contractor’s exam. When you are serious about becoming a licensed contractor in the state of Virginia, rely on American Contractors Exam Services to give you all that you need to succeed.